Charter schools once promised a path towards educational equity, but as the authors of this powerful volume show, market-driven education reforms have instead boldly reestablished a tiered public school system that segregates students by race and class. 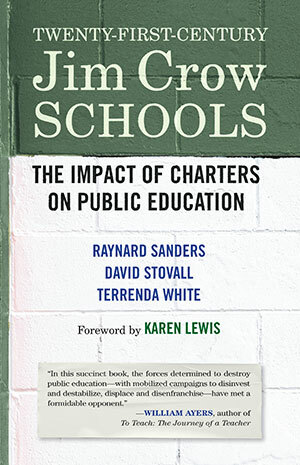 Examining the rise of charters in New Orleans, Chicago, and New York, authors Raynard Sanders, David Stovall, and Terrenda White show how charters—private institutions, usually set in poor or working-class African American and Latinx communities—promote competition instead of collaboration and are driven chiefly by financial interests. Sanders, Stovall, and White also reveal how corporate charters position themselves as “public” to secure tax money but exploit their private status to hide data about enrollment and salaries, using misleading information to promote false narratives of student success. A revealing and illuminating look at one of the greatest threats to public education, Twenty-First-Century Jim Crow Schools explores how charter schools have shaped the educational landscape and why parents, teachers, and community members are fighting back.